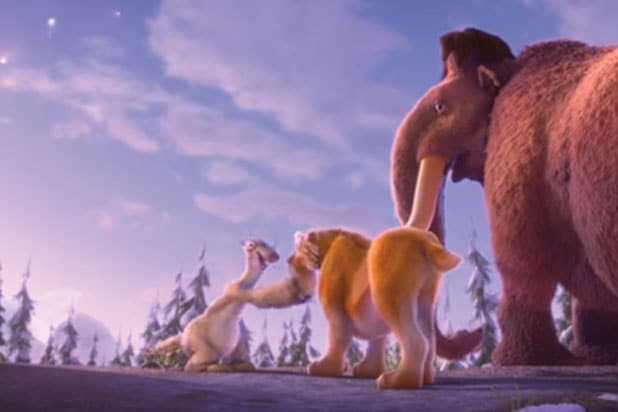 Comedians Ray Romano and Queen Latifah can’t save “Ice Age: Collision Course” from being a complete disaster. Having received a pitiable 10-percent rating on Rotten Tomatoes, the fifth installment in the ongoing series about a squirrel and his acorn failed to impress critics. Time Out’s Tom Huddleston called the film “forgettable and pointless,” while most other critics think the Ice Age franchise has long overstayed its welcome. Like the previous Ice Age films, “Collision Course” chronicles Scrat’s pursuit of his elusive acorn and the calamity that invariably ensues. His quest sets off some disastrous events — again — that threaten the herd’s home and force Sid, Manny, Diego and the rest to seek new shelter. “Ice Age: Collision Course” opens in theaters July 22. Read eight of the frostiest reviews below.